Happy August to you, my tea friends, and welcome to Oolong month here at Art and Tea! For the 4 Saturdays in August, I will be exploring various Oolong teas from both China and Taiwan. As do black, green and white teas, Oolong tea leaf comes from various native subspecies of the Camellia Sinensis plant. The word Oolong, or Wulong, translates to dark or black dragon. 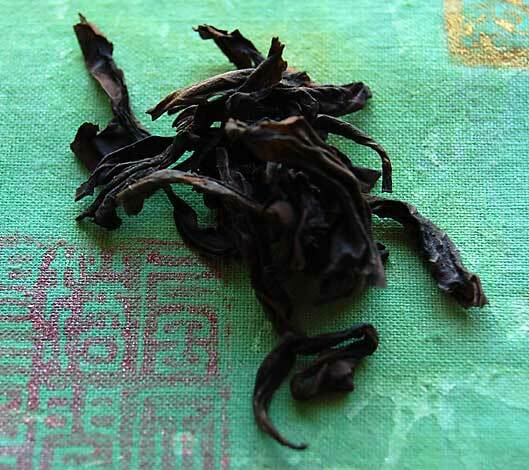 Some say this is because the twist given to an Oolong leaf during processing resembles the silhouette of a dragon. This morning’s tea is a Chinese Oolong called Wuyi Golden Guan Yin. 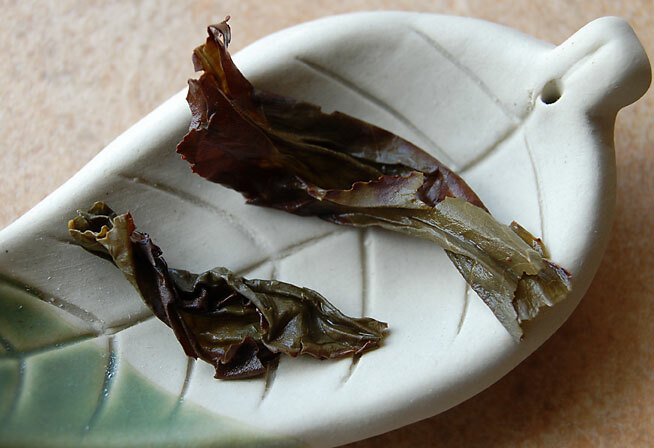 Grown in the Wuyi mountains of northern Fujian province, the leaf is dark and very bold. Traditionally made from larger tea leaves plucked as a bud with a set of up to 3 leaves, Oolongs are the most complicated tea to manufacture. This is because of the greater number of processing steps over a longer period of time from plant to cup. There is a great advantage to this longer processing time, however, as it gives opportunity for more personal interpretation, or artistry, when creating the tea. 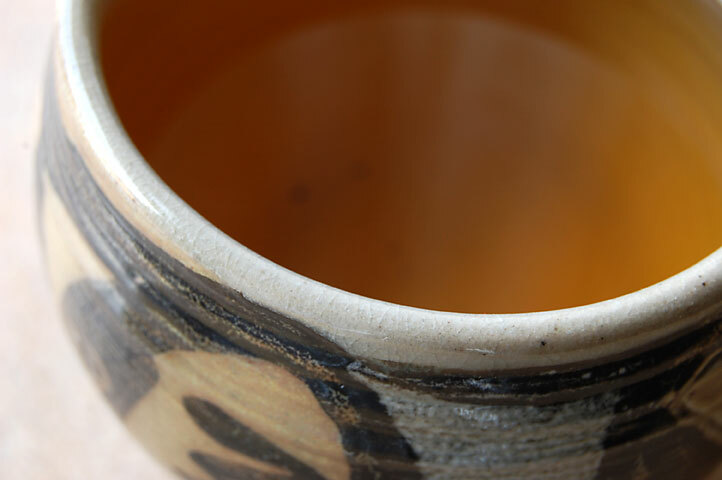 Unlike fully oxidized black teas or unoxidized green teas, Oolong teas are semi-oxidized. Some say that Oolongs are a cross between a black tea and a green tea but this is not the case at all. They are their own unique category of tea. It’s amazing how such a dark leaf can yield such a light golden liquor. 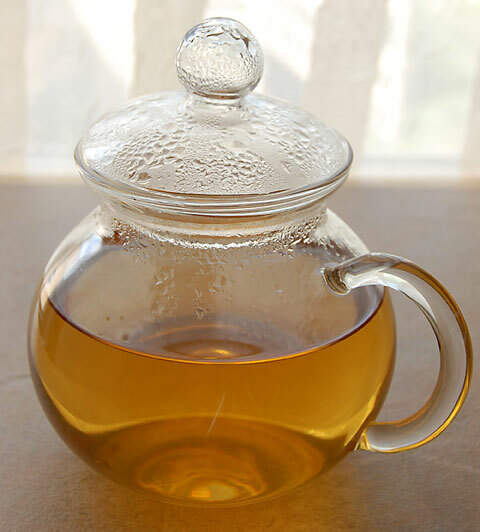 As I lifted the infuser basket from my glass teapot, a honeyed fruit fragrance filled my senses. The flavor is quite sweet with a distinctive woodsy character. Notes of apricot and a hint of chestnuts round out the flavor. 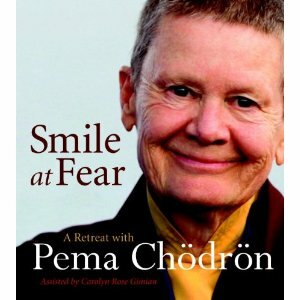 As I sip from my cup of Oolong tea, a cool breeze dances through my windows, beckoning my outside for a long meditative walk. The fifth purifies my flesh and bones. 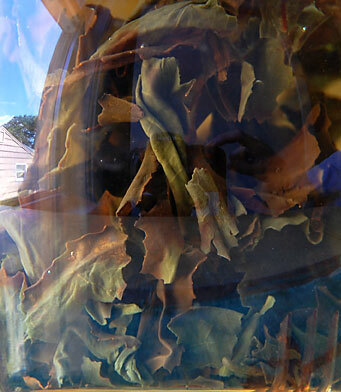 This entry was posted in Oolong Tea, Photography, Tea and tagged Chinese Oolong, Oolong, tea review. Love your blog! I, too, bead and blog occasionally about my love of oolong. Thanks Greta! Glad you stopped by for a visit! I love your tea pictures.. just want to jump right in. I love the shapes of the tea leaves.. one looks like a goose. Thanks Judy! Haha, it does!